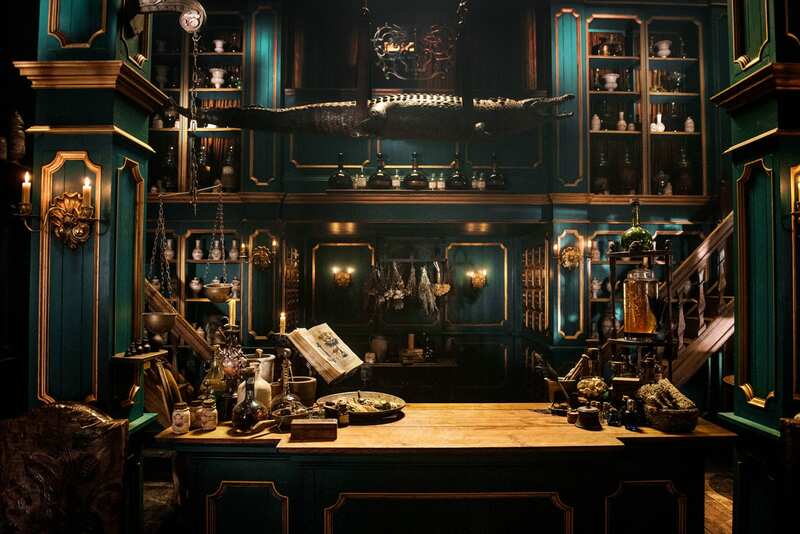 This is the front room of the Paris Apothecary. The Art dept. and Set Dec departments did major research to try and make this as accurate as possible, and yes the alligator was really used. We we found 18th Century etchings that showed the alligators hanging from the ceiling. This was the period of the Enlightenment and people were interested in all things from foreign lands. More photos to come.